To make sure that your brain stays in shape for years to come, you need to know how to feed it. 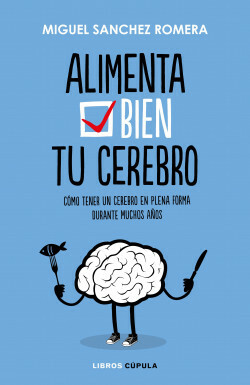 The well-known chef and neurologist Miguel Sánchez Romera explains how the brain works and the major impact of food upon our most vital organ. He tells us which foods are beneficial and which aren’t and includes a large number of easy to prepare recipes that you can make at home aimed at stimulating and maintaining the health of your brain. Known as ‘the neurologist chef’, his neurological approach to cooking allows the author to present a truly effective diet to take care of our brain functions.